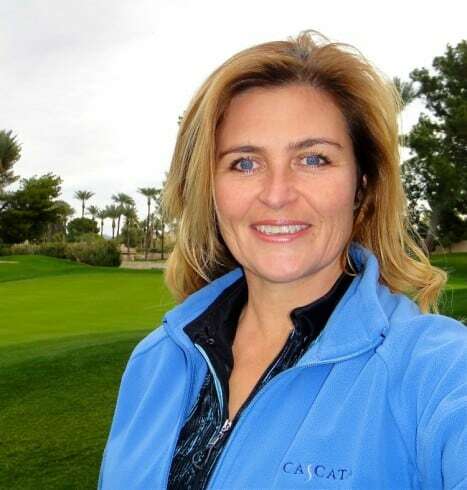 Tara Roden, a Golf Professional since 1990 with the PGA of Canada, has focused her time and energy on golf coaching, academy development and the creation of golf programs for all ages and levels of golfers. Her continued adventures in the golf industry have led her to assist in four “ Start-Up “ golf facilities, and the creation of various golf academies throughout the province of BC. Tara began her career on Vancouver Island, then to Whistler, the Okanagan and most recently, she now resides on the Sunshine Coast as the Head Golf Professional and Director of Instruction at the Blue Ocean Golf Club in Sechelt. She is one of only 185 women golf professionals in PGA Canada with a total membership of 3,700 PGA members. However, women are a growing segment of the golf industry, and Tara is a fearless leader in her field and continues to strive for women’s equity in the sport of golf. She spent two years on the PGA of BC Board of Directors with the Education Portfolio. Her passion and expertise is in empowering women in the world of golf for better opportunities both on and off the course. She has vast experience in the industry, giving her perspective and understanding of key behaviors for success in sport, business and life. Tara’s PowHERtalk will share her stories of success, challenges, disappointments and the ability to bounce back. Her tales from both on and off the golf course – with her connections, students, in business and relationships – that have all assisted her to get to where she is today in her career and life. Tara believes everyone has a story. We are all the creators of our own life, and it is what you say to yourself and others that makes all of the difference in the world. Her enthusiastic encouragement and inspiration ignite her students to listen to their own voices and to create the “game of life” they desire. Her style of coaching is keeping it FUN and SIMPLE. We know you will enjoy Tara’s positive and infectious attitude, her belief in the “Blue Ocean Strategy”, and an unwavering gratitude for life with unlimited possibilities. To purchase PowHERtalks tickets, please click here.